This post is made up of some of the text I used in a talk at King’s College this week. The title is rather tentative – the state element is dealt with more in the long version. The written version of the talk – about 4000 words, can be found on my academia.edu profile here. I am in the process of writing this up as some kind of engagement with the Total Social Organisation of Labour approach and potentially, the Varieties of Capitalism literature. I am not sure yet how to develop it. Some of the most interesting questions from the audience of the talk came from political scientists. They wanted to talk more about the ‘parasitic’ versus ‘symbiotic’ aspects of informal economy, and of course, they were more interested in the state-citizen relationship. I’ve been interested in the concept and reality of the term ‘informal economy’ (IE) since doing long-term fieldwork among working-class Russians in a small industrial town and witnessing the infinitely resourceful way they made ends meet, engaged in cash-in hand one day in informal employment, back in ‘official’ factory work in the moribund workshops making plastic pipes and steel structures for the gas industry the next. Then on their days off they’ll be again working cash-in-hand as tradesmen in domestic homes or even industry again – the shortage of skilled workers and the underdevelopment of trades making such an arrangement necessary. On the weekend they might be using their flatbed truck to transport construction materials to a building site somewhere and in return they might get a delivery of manure for their smallholding through a third party who owns a farm, or maybe an exchange of labour for food, or perhaps no payment at all, just a promise of a returned favour somewhere down the line (Morris 2014). Of course, even ‘relaxing’ and leisure might also entail an element of informality – fishing, hunting, gathering the forest fruits – all of which, while marginal, reduce the family’s reliance on the formal economy – not only the food shop, but also the furniture shop, the repair garage, and so forth (Morris 2012b). The meaning of gleaning, does not just relate to food – a key understanding of the term among workers relates to the age-old practice of ‘obtaining’ scrap materials, or not so scrap materials from work, or making use of other resources like transport vehicles and fuel for one’s own private, or even, mutual and reciprocal use. ‘informal economic activities signify activities and entrepreneurships that are not registered in accordance with the prescribed laws, are not in compliance with labour legislations, escapes monitoring by the state officials, lacks appropriate conditions at work, and mostly temporary and casual in nature.’ This is fine by me apart from the final two aspects – temporary and casual. I adopt the widest definition possible, which is just that it signifies commodified and non-commodified work activities that escape accurate or complete quantification by the state. It includes legal and illegal activities – often it lies in a grey area between. A good example from my fieldwork is what I call an ‘underground workshop’ making double glazing units. This work took place in a sublet part of a factory. The business itself at the sales end was registered and may have paid some sales tax, but the actual production end was entirely unregistered and the workers informally employed. 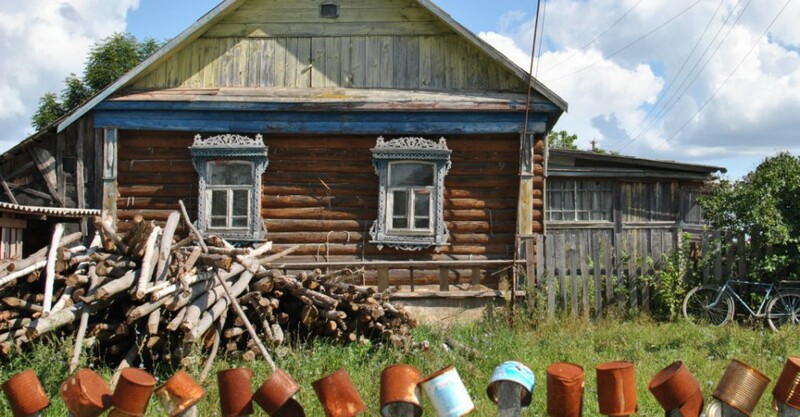 In addition subsistence and provisioning activities, should, I think, remain part of what we think of as informality in Russia, given the ongoing marginality and precariousness of many people’s economic livelihoods. In these three pictures I present a few examples of informal employment – which is a category itself representing diversity – we have a general workman paid cash for one-off specialist jobs – repair of a gas-powered heating station. Below we have the example mentioned – a more long-term example of a worker making plastic windows; he did this job for three years – which might make us pause to think about the automatic assumption about informal work as precarious or exploitative. Finally, we have a car mechanic working as a favour. The ‘workshop’ is actually a fully functioning factory where the owner of the car works. This last one is a good example of what makes IE so important and yet so difficult to measure or explain: it is not commodified (the ‘favour’ of welding the car may never be ‘called in’), it hardly ‘parasitic’ on the formal economy – the welding is not exactly exploitative of the factory in which is it taking place – after hours and with the permission of the foreman. These are just a tiny number of examples from my own fieldwork. Some activities while open to interpretation as due to economic necessity (DIY) are valued and performed as much for the inherent and intangible value: for their own sake, than for any economic benefit. This leads us to another problem – can an activity really be considered part of the informal economy if it is not perceived as ‘economic’ or in ‘cash’ equivalent terms? – I.e. we return to a staple Marxian problem – the question of the relationship between use- and exchange-value. In one of my pieces I approached this by using the work of philosopher Alastair MacIntyre to talk about things like domestic decorative DIY (which also had economic value) as an internal good – a practice done for its own sake. MacIntyre talks of virtue ethics and the neo-Aristotelian inheritance of the holism of the activities of the household in the search for the good life. Similarly, Harding and Jenkins working in the UK context in the 1980s sought to challenge what they called the myth of the hidden economy, arguing for the need to take seriously actors’ perceptions and accounts of what they themselves are doing – as in substantivist economic anthropology (Sahlins 1974) – and to offer an alternative framework to the dualist or ‘separate’ economic model. They explored the meaning of household activities like social solidarity work as part of informality, and yet having an economic value – however difficult to define – ironing a garment for sick neighbour for example. In other words, for Harding and Jenkins, even in the West, the formal is not the actual – it is simply one element of the social construction of organisational life, the term formal economy is part of the reification of the formal nature of bureaucratic, metrics society. And that leads us to the question – what does the weakness of that formal aspect mean for post-socialist societies? Is it to do with the importance of networking in the socialist shortage economy and that inheritance? The increased importance of social trust networks when the state has never been on your side – a micro version of Alena Ledeneva’s ‘Sistema’ argument? Or is it more to do with economic precarity in general – the need for portfolio household incomes? The latter is the vision of the ‘domestications’ of neoliberalism argument among prominent human geographers. Allied to that is the feminist geographies and heterodox economies position – sometimes in totality called ‘the human economy’ – that would see care and domestic work valued properly as well as mutual aid and self-provisioning. Finally there is the semi-culturalist and ritualist explanations from anthropology – that include explaining potato planting among the Russian middle class as a psychological insurance strategy more than an economic one. But here I’m getting ahead of myself; we need to go back to the beginning of the term IE to set out how it developed in context. This will help assess its ongoing applicability to the post-socialist case. The anthropologist Keith Hart popularised the term ‘informal sector’ in the 1970s, but used it in a very particular context – self-employment in post-colonial Africa among the urban poor. Thus it was a development term to talk about the economic lives of people for whom tax demands, salary slips, health insurance and mortgages were abstractions. Subsequently the World Bank and the ILO (International Labour Office) focussed on this mainly third world context in terms of IE as representing both avoidance of government regulations and taxes, and potential routes out of poverty. The World Bank website currently summarises thus: ‘a cushion for workers who cannot find a job in the formal sector. But, on the other hand, it entails a loss in budget revenues by reducing taxes and social security contributions paid and therefore the availability of funds to improve infrastructure and other public goods and services. It invariably leads to a high tax burden on registered labor. A high level of informality also can undermine the rule of law and governance. The fact that a large share of the population is openly ignoring laws, regulations and taxes can weaken the respect citizens have for the state.’ Overall then for the WB the negatives outweigh the positives and it sees formalization rather than toleration, as the answer. But for me and many others – this position is a bit ‘chicken and egg’ implying an ideal vision of the state that the informal then proceeds to undermine. In the post-socialist context often we find informality is the response to state failures at all levels. This entry was posted in informal economy on 15/03/2016 by Jeremy Morris.